Casseroles are for breakfast, casseroles are for chicken and cashew lunches, and very often they play a part in dinner too – sometimes as the main event, other times as a very appetizing sweet potato side dish. How do you define a casserole though? Is it as simple as a one-pan dish that is baked in the oven? Does it have to soak in a juicy gravy? Does it always contain eggs? More important than the ingredients going into the dish, however, is that the cooking vessel is a deep dish, usually glass, that can be safely heated for hours in the oven. Whether you add tuna to your casserole, or skip the protein entirely, it will always be a casserole so long as it is slow-cooked in the oven – you will likely serve it from the same baking dish too. A successful casserole needs to come out of the oven just right, and it still takes some practice to create an extraordinary dish. So, before you go and add whatever kind of vegetables you have on hand, know that fresh veggies work infinitely better than frozen vegetables (these contain a lot of water, so strain them well), but boiled vegetables also benefit from being strained. After all, you want to end up with something spoonable and thick, not runny – there is an inviting cauliflower soup for that. 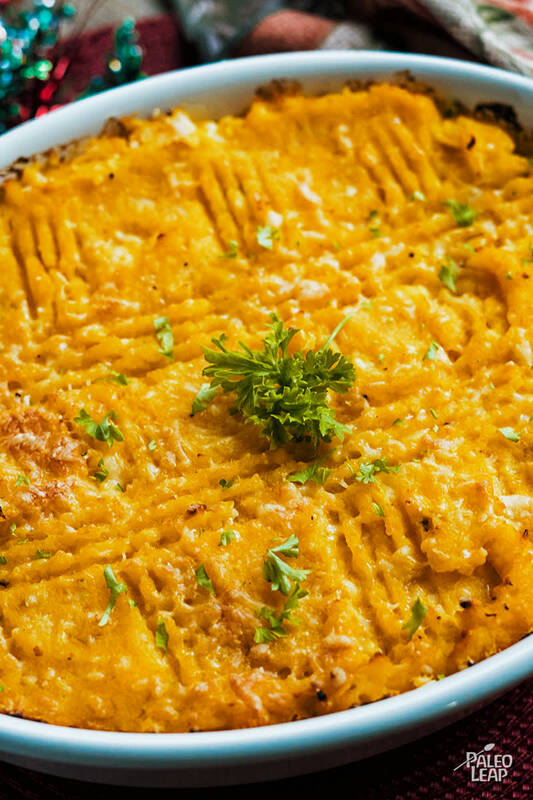 Call it a “hot dish” if you like, but above all, invest in a good quality casserole dish and bake one weekly. It’s so versatile that you will never run out of recipes or inspiration, and they are great for leftovers! Add the butternut squash and cauliflower to a saucepan and fill with water. Bring to a boil, and simmer 12 to 15 minutes or until vegetables are fork tender. Drain the water and set vegetables aside. In the same saucepan, melt ghee over low heat. Add the garlic and cook 1 to 2 minutes. Bring the butternut and cauliflower back to the the pan, and mash everything with a potato masher. Add the spices, fresh herbs, and season generously to taste. Place the mixture in a baking dish, and bake in the preheated oven 20 to 25 minutes.